Let’s Get REAL with Women Who Lead. Join us in a lively discussion with these accomplished women. We’re talking the real deal. Challenges, opportunities, inspiration, team building, and moments of decision. Come out and hear from these female leaders who have been there, done that. The launch event of Marketers’ Community was a huge hit. If you missed it we hope you can make this next event. We are coming together again to bring the best and brightest minds together from all across the Twin Cities for our fourth community-building and educational event. We’re talking apostrophe-after-s: Marketers’. It’s plural, because we’re better together. It’s possessive, because this community belongs to all of us. Your participation is what makes this community meaningful. Your input is what makes our events valuable. We just wouldn’t be the same without you. Similar to our debut event there will be networking, snacks, a riveting panel conversation, real world case studies, and plenty of time to mix-n-mingle. Come on out and join us! Let’s Get REAL with Women Who Lead. Join us in a lively discussion with these accomplished women. We’re talking the real deal. Challenges, opportunities, inspiration, team building, and moments of decision. Come out and hear from these female leaders who have been there, done that. See Event Details tab for more information. Margaret Murphy believes fostering authentic human connections is the single most important driver of business and societal progress. 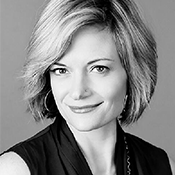 She is founder and CEO of Bold Orange, a human connections company focused on modernizing the way brands connect to communities through more relevant, personalized marketing. Bold Orange also has a social purpose division, ShopwithScrip.com, a community fundraising platform empowering families and organizations to turn everyday purchases into extraordinary opportunities. Prior to Bold Orange, Margaret was president and COO of Olson, the Twin Cities’ largest marketing agency at the time. There, she quadrupled the company’s revenue and greatly expanded its capabilities. 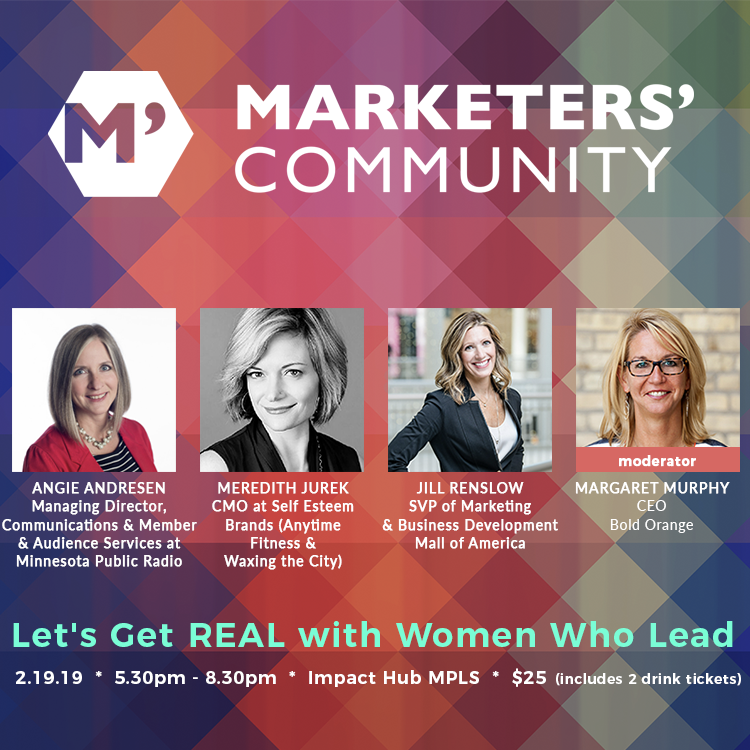 Margaret also served as managing partner and president of Denali Marketing, where she helped build a company and culture that was named the #1 “Best Place to Work” for small businesses by the Minneapolis StarTribune. Earlier in her 25-year career, Margaret led a $225mil+ division of Carlson Marketing Group and supported clients such as Bank of America, Coca-Cola, and Microsoft. Named a “Woman to Watch” and a winner of the “Top 40 Under Forty,” by the Minneapolis/St. Paul Business Journal, her strength is in building cultures that foster empowerment, growth and scale. Margaret earned an MBA from the University of St. Thomas and her undergraduate degree from the College of Saint Benedict. Margaret serves on several boards in the Minneapolis/St. Paul community. 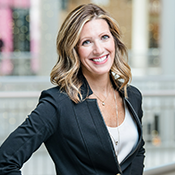 As Senior Vice President of Marketing and Business Development with Mall of America®, Jill Renslow oversees Mall communications, marketing, strategic alliances and partnerships, advertising, digital media, group sales, and attraction marketing. She is responsible for working with new and existing tenants to create unique experiences and drive sales and traffic. Working with various innovative partners, the goal is to develop and integrate emerging technologies into both Mall of America retail and entertainment environments. Renslow works with top Mall leadership to provide direction and vision for the expansion to the Mall. The project includes a water park, additional hotels, office space, first-to-market retailers, entertainment offerings, new dining options, and large event spaces. 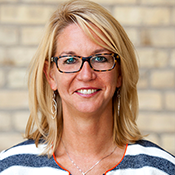 Renslow brings over 20 years of valuable experience at Mall of America to her current role. Previously, Renslow was Vice President of Marketing and Business Development at Mall of America. During her tenure, Renslow oversaw a $25 million rebranding effort of the nation’s largest indoor amusement park, Nickelodeon Universe®, as well as annual enhancements including new rides, attractions and partnerships. Renslow holds a B.A. in marketing communications from St. Cloud State University and an M.B.C. from the University of St. Thomas. Mall of America is the nation’s largest retail and entertainment complex. At 5.56 million square feet, the Mall is home to more than 520 world-class shops; Nickelodeon Universe, the nation’s largest indoor family theme park; SEA LIFE Minnesota Aquarium, a 1.2-million-gallon walk-through aquarium; CMX Cinemas; JW Marriott 342-room hotel and Radisson Blu Mall of America 500-room hotel connected to Mall of America. The Mall opened in August of 1992 and is located in Bloomington, Minn., just minutes from downtown Minneapolis and St. Paul. Follow Mall of America on Facebook and Twitter or visit our blog. 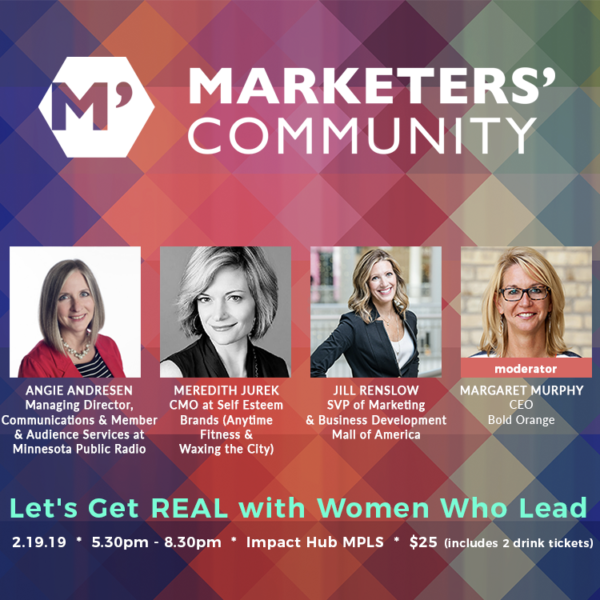 Meredith Judek is the Chief Marketing Officer at Self Esteem Brands – more widely recognized for the Anytime Fitness, Waxing the City and the recently acquired Basecamp Fitness brands. She is responsible for driving and optimizing the customer journey from awareness through advocacy, helping franchisees improve new customer growth and retention. Priority #1 is evolving the Anytime Fitness brand from a lesser known ‘convenience’ gym to a ‘coaching’ facility that is committed to helping real people overcome the barriers to healthier lives. She has a particular passion for data-driven marketing technology and how marketing can help re-define the customer experience for an organization. 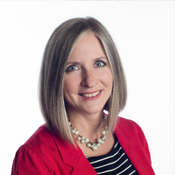 Prior to joining SEB in 2017, Meredith was VP of Customer Experience, CRM and Loyalty at Regis Corporation and held various marketing roles at Best Buy Corporation. She has an MBA from the Carlson School from a long time ago and just had her first “You used to work with my dad” employee hire. In addition to herding three active kids aged 10-15, she owns a mountain bike resort outside Crosby, MN. She relishes coffee, showtunes and her Peloton. Angie Andresen is a strategic communications professional with more than 20 years of media relations, crisis communications and reputation management experience. She is the Managing Director of Communications and Member & Audience Services at Minnesota Public Radio | American Public Media. She’s passionate about building strong, collaborative teams and creatively solving challenges by playing to the teams’ strengths. Angie currently serves as a Board member for Girls on the Run – Twin Cities and Roots for the Home Team. She was a founding member of Faith’s Lodge Board of Directors and served as the co-direction of the Kids Race for the Cure. She has a B.A. in Communications from the University of North Dakota. You can find Angie running or biking around the lakes, cheering on local sports teams or searching for the best ice cream in town. 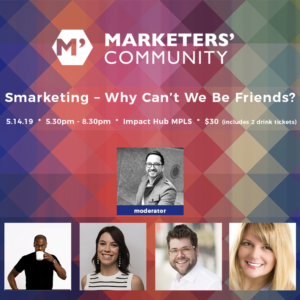 Welcome to the Marketers’ Community of Minnesota: Your community for connecting, learning, sharing, and growing.